As we move in the spring and summer seasons a few considerations should be made to keep your lawn fresh and green. As the growth of your lawn lessens during this drier period, it is important to ensure your grass is cut less often with the mower set high. Watering is a tricky thing, often you can do more harm then good by putting the sprinkler on for only a short burst. Making sure it gets a good soak twice a week can be more beneficial. – Cut back any wild growth including bushes and overhanging branches to give your garden a finished look. 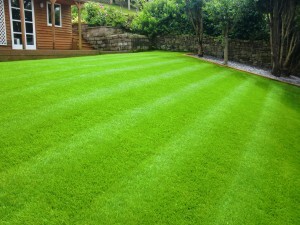 Here at Ivinghoe Turf we have been growing and supplying hard wearing, high quality garden turf to our customers across Hertfordshire, Bedfordshire and Buckinghamshire. For more information on your requirements contact us today and a member of our team will be more than happy to help.